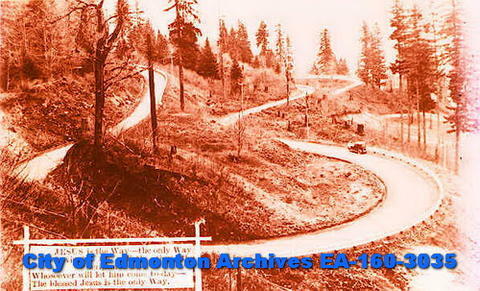 Item EA-160-3035 - A road in the forest and hymn, "Jesus is the way." A road in the forest and hymn, "Jesus is the way." These glass negatives were taken from a glass slide collection entitled: Religion. Mr. Bowen. October 1935.